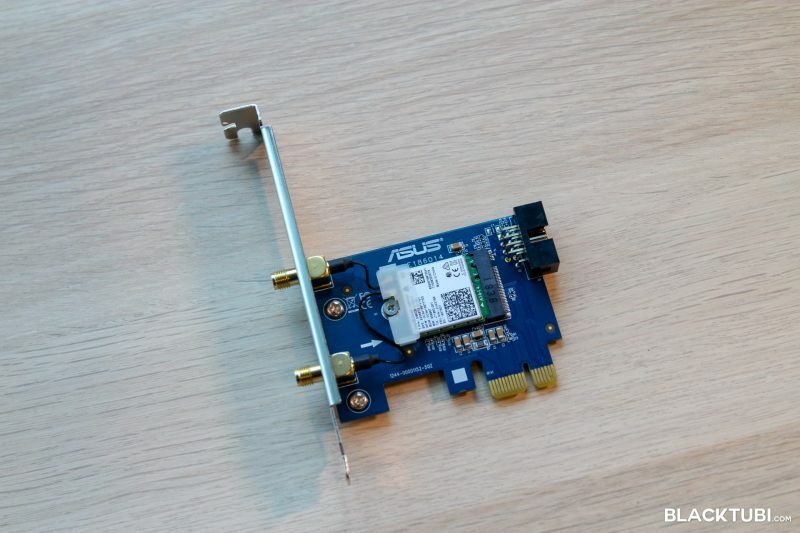 Asus PCE-AC58BT is Asus latest PCIE based wireless receiver. It features 160Mhz WiFi support, just in time with the launch of ASUS WiFi 6 Wireless AX router. 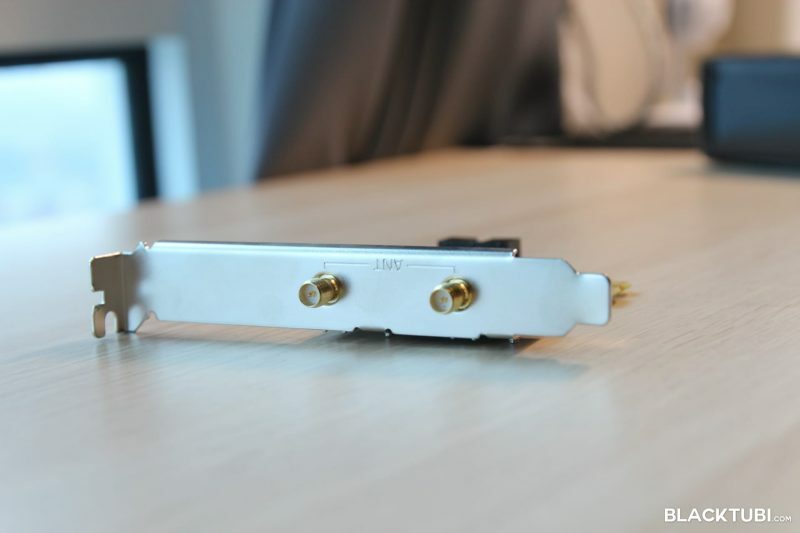 As 160Mhz router become more common, it will double the existing speed we can get on a typical Wireless AC 80Mhz router. Asus PCE-AC58BT is able to support Wireless AC up to AC2100 and it even comes with Bluetooth 5.0 support. The retail price is really affordable at just RM229. ASUS PCE-AC58BT is a 2×2 dual stream WiFi receiver. But, with 160Mhz support, the 5Ghz maximum speed is up to 1733Mbps. You can utilize this speed with a router that support 160Mhz such as Asus ROG Rapture GT-AX11000 or ASUS RT-AX88U. Under the hood, Asus PCE-AC58BT is actually powered by an Intel 9260 Wireless chipset. This chipset is known for the very stable and fast WiFi performance. It comes with a PCIE X1 card and ASUS included an additional low profile PCIE header for a SFF chassis. 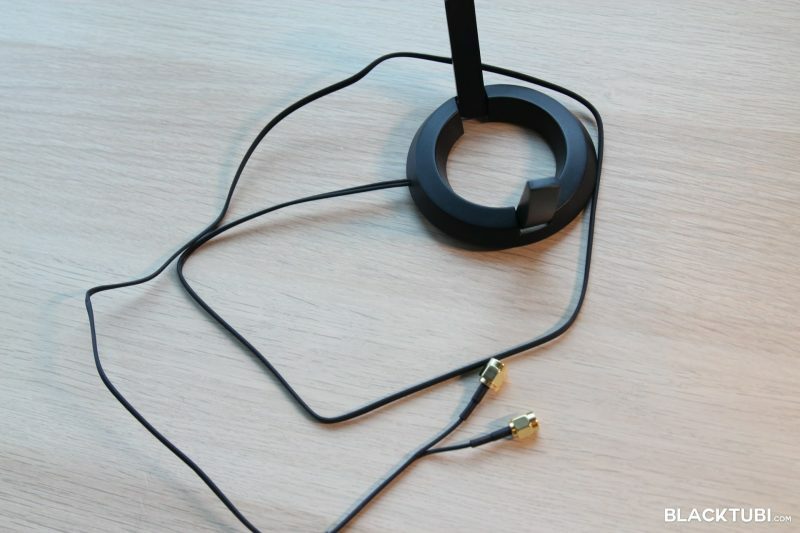 The product also comes an external antenna cradle so you can put the antenna outside for even better coverage. The Bluetooth 5.0 connectivity is done with a USB connection to the motherboard. 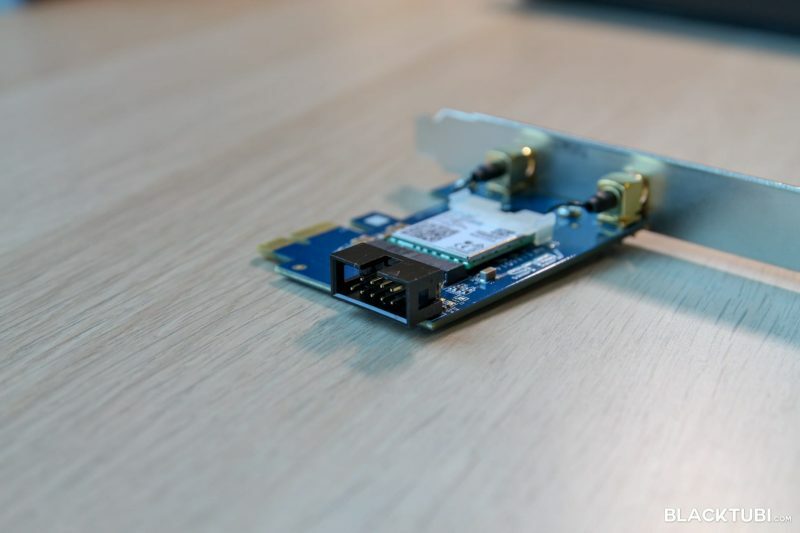 We found that it is also possible to remove the actual wireless chipset from the PCIE card and put it into a laptop as well. It is using a the standard NGFF slot which many laptops use it for their wireless card. You can also purchase ASUS PCE-AC58BT to improve the WiFi performance on your laptop with the latest Intel chipset. The free antenna cradle with a 1m cable. The USB header for the Bluetooth connectivity. The setup process is very simple as you just connect the PCIE card to any PCIE slot and you are good to go. Remember to connect the USB header if you need Bluetooth connectivity. Windows 10 will automatically detect and download the correct driver if you have an existing Internet connection. It is basically a plug and play device. 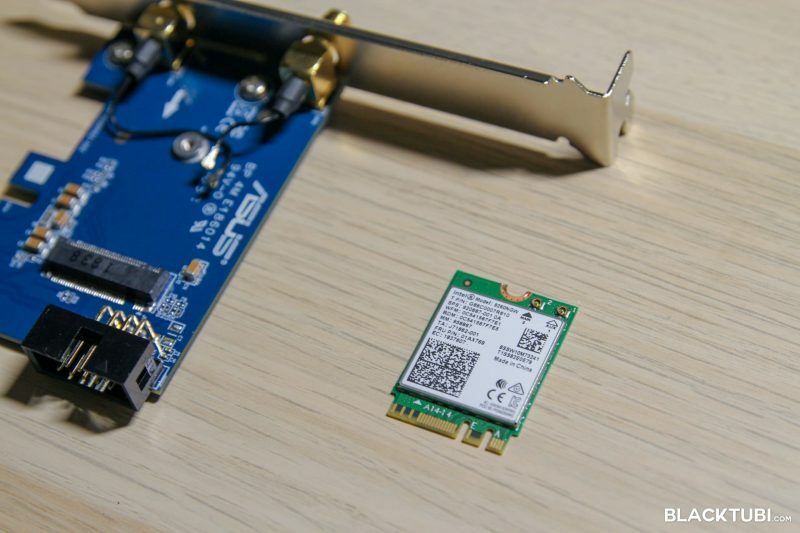 A PCIE based wireless receiver will always better than USB wireless adapter. 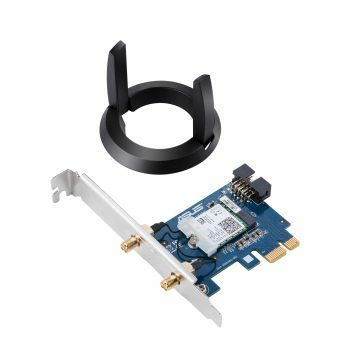 PCIE WiFi adapter will perform a lot better and a lot more stable as the PCIE protocol do not subject to overheads caused by the USB protocol. Besides, USB 3.0 is known to cause interference to 2.4Ghz network as well. It all results in better signal strength and higher performance. Asus PCE-AC58BT is able to reach a speed up to 800Mbps when being tested with Asus GT-AX11000 on 160Mhz mode. It is surprising how a cheap wireless receiver like this can reach 800Mbps reliably as well. But, this is of course not practical as most people still use on older WiFi router. On another test with ASUS GT-AC5300, a typical Wireless AC wireless router. 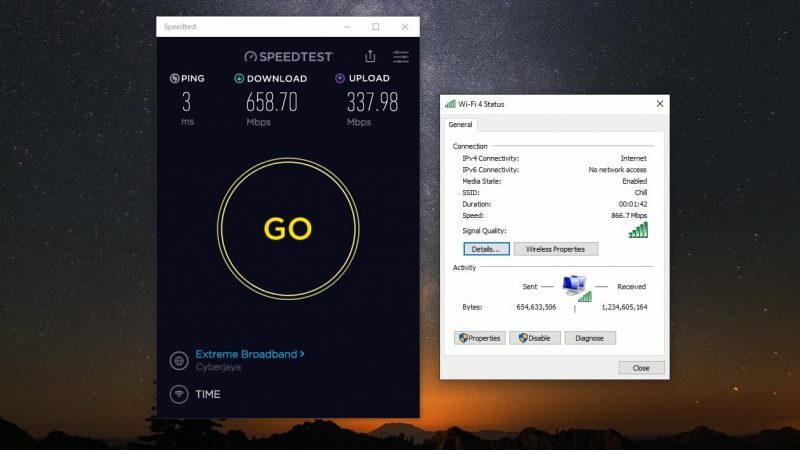 We have no issues reaching over 650Mbps download speed on Ookla’s Speedtest.net. This is tested at a distance of around 5m from the router with a wall in between. The performance is simply amazing on the PCE-AC58BT. Asus PCE-AC58BT is also really stable. Throughout our usage of one week, we do not notice any issues with disconnection or overheating. Intel WiFi chipset is probably the best in the market right now. 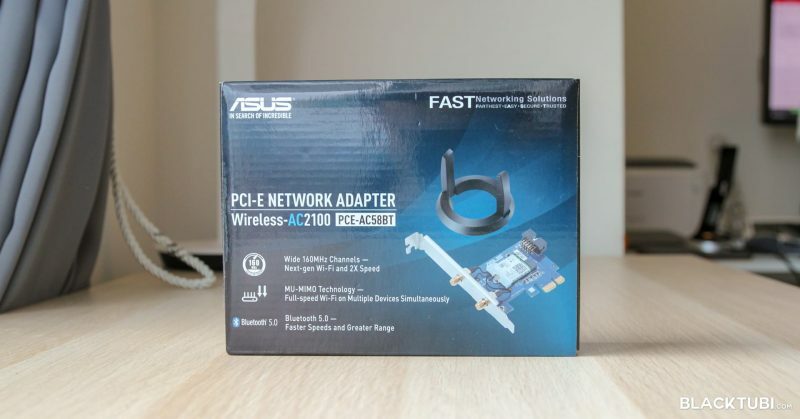 ASUS PCE-AC58BT is the best PCIE WiFi adapter in the market right now with the latest Intel chipset. The performance is really good and it is very stable.